Healing – Healing – Reproductive system, intestinal disorders. Helps assimilate vitamins and minerals, weight loss and Parkinson’s Disease. 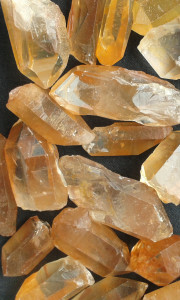 Tangerine Quartz is a wonderful stone and loves to be worn near the skin or in the aura.